People deserve to hire the most phenomenal, intuitive Locksmith Service. People tend to have problems being locked out of their homes, vehicles, and office buildings and, therefore, if you need an expert 24 Hour Locksmith service, we’re the best choice. 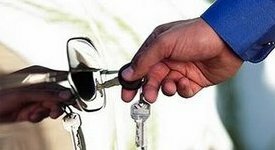 If you need a key to be repaired, we’ve the professionals who’ll easily conduct proper Key Repair, and if you need help with your vehicle’s key and ignition, we’ve the ideal Automotive Locksmith for you. Southern Ontario’s city of Pickering is one of the top economical cities in all of Canada since many high-end businesses have made this city flourish in rapid fashion over the last half-decade. We’ve experts who know everything about the different types and brands of locks on the market. Nowadays, there is a plethora of different locks, but regardless if you own vending locks, require the installation of deadbolt locks or desire the repair of IC Cylinders, our technicians know how to handle them all. They are also familiar with the Medeco Locks and all major brands and they can repair their damages or suggest you the best solution for your property. We established Pickering Locksmith to be the best in the area, and it has definitely proven to be top-notch. If you need a professional, give us a call at: 905 231-0890.